Look at our pathetic looking nomad cats. They never lay that way! But because it’s so hot in Texas (in the 100’s!! ), this is how they slumber…all sprawled on the floor airing everything out. Why? Because scientifically, heat rises. This is why they lay on the floor instead of their little beds or any other place in the RV that they own. It’s cooler for them. Well, we (and they!) are going to help you with some ideas that work for us. Even before it starts getting hot outside, turn on your air conditioner to cool the walls, floors and ceilings of your coach. Its more beneficial to do this than to try to cool a hot RV. RV TIP: Use these little portable usb fans to circulate the air! We LOVE them!! We will even put them on the floor for our kitties. They are rechargeable so you don’t have to stock batteries! 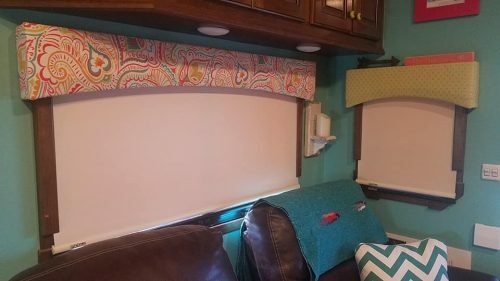 As the sun moves (actually the earth moves around the sun but you get my drift) around your RV, pull the shades to keep the sun from coming through the windows. If it’s not windy outside, extend your awnings on the sun side. This will shade your RV at least for a few hours. Its recommended you only do this while you are at your RV. RV TIP: Never leave your extended awning unattended!!! Most towables don’t come with shades on RV doors. Even as simple as taping a piece of cardboard onto the inside window frame of the door will minimize heat from the sun coming into your RV. 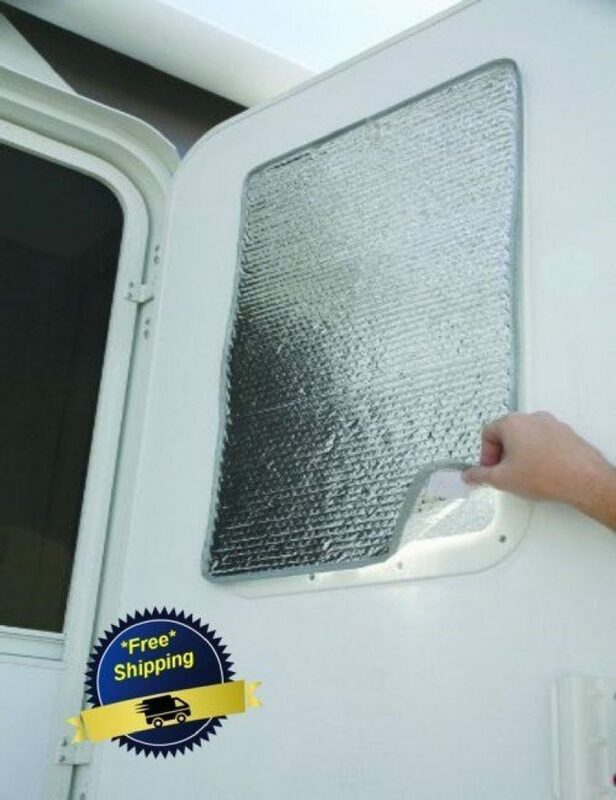 You can also use Reflectix Foil Door Window Cover to keep the sun and heat out. 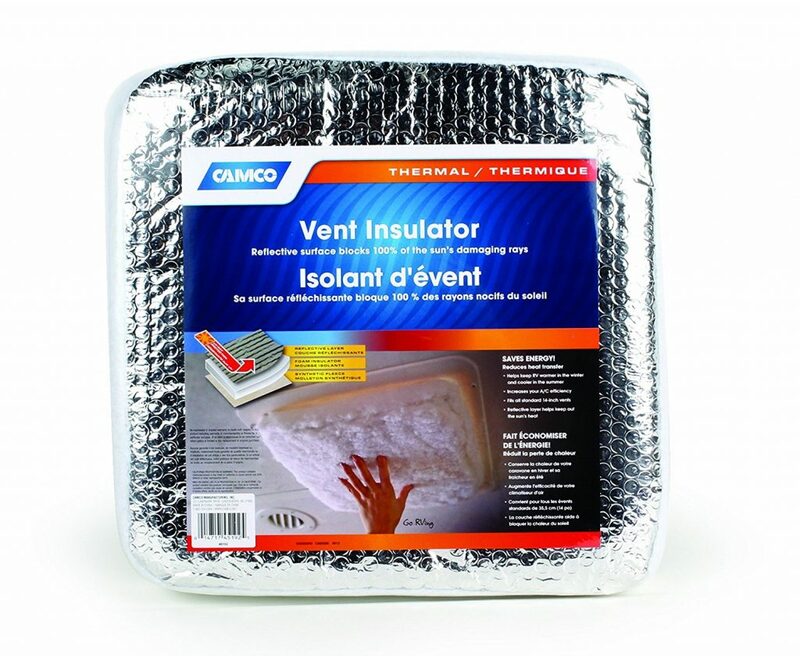 There’s a product for insulating RV windows called Reflectix Foil Insulation. It looks like silver bubble wrap that you tape onto your windows if you’re going to be in hot temperatures for longer periods of time and don’t mind your windows being covered all of the time. You can also use the Reflectix Tape to insure proper adhesion. 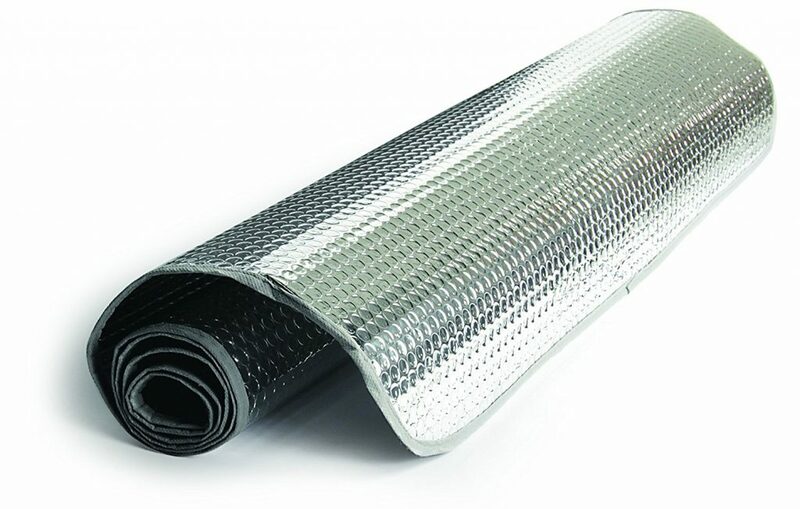 You can insulate your Fan Vent and Skylight with an RV Vent Insulator with reflective surface. This will keep the cool air from escaping up into the vent. As well, it will keep the sun from beating down into the spaces below. 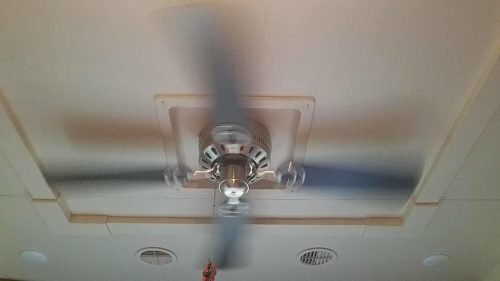 Your ceiling fan helps circulate the air in your RV living space. Since your AC vents are in the ceiling, you’ll want to adjust your fan’s direction to push the cool air down. Just like your S&B (Sticks & Bricks house), closing off rooms conserves and concentrates the airflow in the area that you want it. If you spend time in your kitchen and living area, close the bedroom and bathroom door and AC output vents. This will help your AC unit force the cold air only in the spaces you want it. RV TIP: See those vents in the pic above? 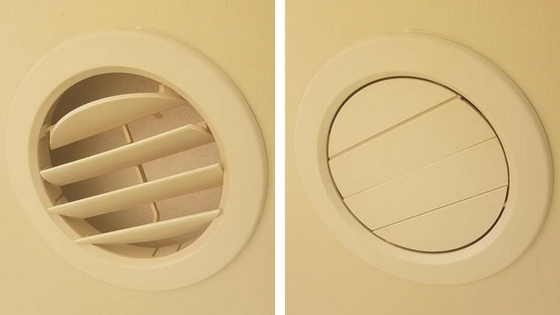 We replaced our former vents with Spaceport AC closable ceiling vents. What a difference! We can even turn them to directionalize airflow. 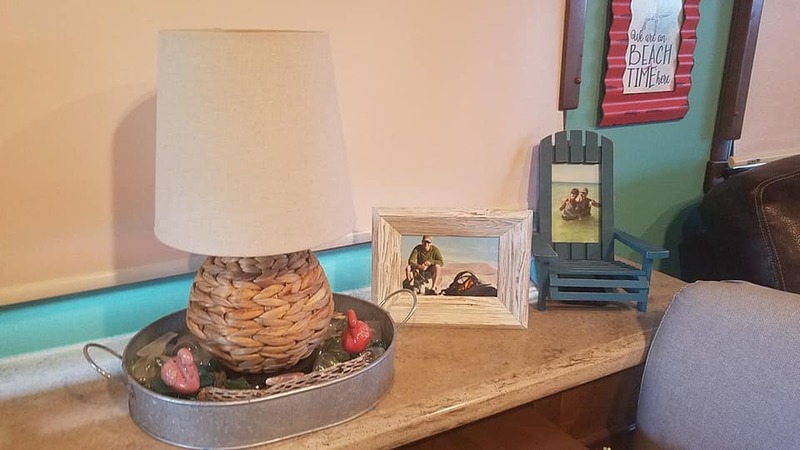 Incandescent and halogen lights emit tons of heat when they are turned on. Shut them down for the day and use your LED lights instead. Televisions and Electronics (ie. computers, etc.) get warm when they’ve been on for any period of time. Turning them off lessens the electricity draw and allows more energy to go to the Air Conditioner(s). Cooking on your stovetop or in your oven obviously gives off heat. On hot days, eat cold foods, salads and sandwiches, go out to eat (it’s cooler in restaurants anyway!) or order takeout. Our mothers told us when we were kids to ‘close the darn door’ and now its our turn to tell every one else who enters to do the same. Minimizing opening the door will allow the cool air to stay in and the hot air to stay out. These are a huge culprit in Air Conditioner malfunctions. You should clean your AC output and intake vents AT LEAST MONTHLY! Make sure nothing is blocking the air flow in each. 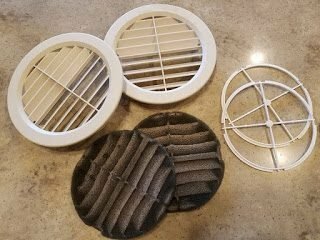 We’ve shared a great informational blog on How to Clean Your RV’s AC Vents and Filters. This last one is a biggie! If you have your AC unit serviced every year, you minimize expensive repairs down the road. As well, it will minimize the potential of your AC going on the fritz when you need it most. Hire an RV Tech who is qualified and knowledgeable to service all of your AC components. Make sure your Tech also inspects the intake and AC vents in your RV. We hope these 14 tips help you keep your coach cooler in the summer. The ticket to keeping your RV or camper cool in the hot temperatures is just be mindful and conservative with how you are cooling your units. You’ve got some great RV tips for staying cool. We want to take ours on some trips this summer, but man it gets hot in there! I’ll have to look into getting some insulation for the windows, like you said. Ridley, We’re glad you enjoyed those tips. Please pass our blog info onto some of your clients. Oh, and you’re so right about it getting HOT (or already has!) Look at cooler places to go enjoy. Being near a lake or place where you can take a dip is always a plus. BTW, we will be in Elkhart the first week of September if you’d like to do a meet and greet! We’d love to meet our Liberty Crew followers! I took the inside covers off our units and sealed all areas between supply and return. Huge difference. The manufacturer spends no time sealing these areas which shud be seperate. Major loss of cold air right back to the return. Now we have good flow to the bunk house thru the duct work. Do you mean at the main air conditioner? tanx for the helpful hints. I’m a senior rv newbie and am learning as I go. Except for having a clean filter inside & making sure there’s no debris on outside AC unit & its able to drain properly. These units are NOT serviceable. They either work or they don’t. Learn your unit & “service” it yourself every year. any energy saving ideas id love to know. its 100 degrees here in dickinson an im a new rv owner for the first time. Good tips! We just picked up one of those little fans. Might have to get another. This might seem obvious but we found if you keep an RV in a shady spot it makes a huge difference in temperature. Hi Scott! Thanks for reading! Yes, shade makes it nice. Well, unless we’re boondocking and needing the solar. But hey, did you see those new batteries we have now? Can store energy for days!! Yay! Those little USB fans work awesome. We even take them outside with us when we’re sitting around. 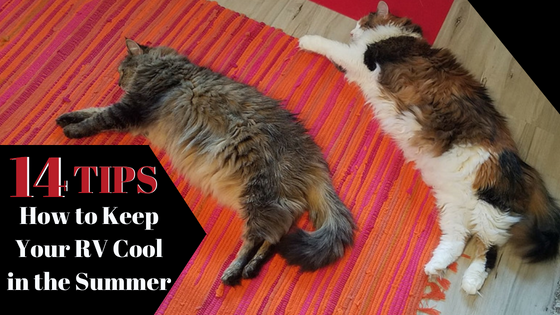 They chase the bugs off at the same time, keep us a little cooler. In fact, we need to order two more; thanks for the reminder. I never really think about the A/c unit itself or the filters. My awning has had it’s better days and I swear it is always windy when I want to extend it . The wind sensor causes issues. So I leave it in most of the time. I’m still learning how to adjust but I guess summer time is a bad time to learn. I did install the reflective shades in all the windows and it makes a HUGE difference. Next PostNext 5 of the Most Somber Places in the U.S.